Universal Floors and More, Inc.
Sharp and Fast Painters, Corp. Comment: I would like to paint the kitchen cabinets white, they cmare currently stained brown. Comment: i am looking to do a faux concrete wall effect on 2 accent walls in my condo. ceilings are 7' and 9' in the areas. Comment: I would like to get an estimate for Paint outside of house same color white. Need estimate, ready to hire. Call xxxxxxxxxxxx for xxxxxx xxxxxxxxx. Miami Painting Contractors are rated 4.81 out of 5 based on 1,610 reviews of 251 pros. 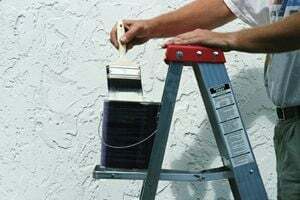 Not Looking for Painting Contractors in Miami, FL?